Dante, a middle-aged man, believes he has lost everything: Estranged from his family for twenty years, he loses his job and finds out that his wife is dead. He goes to her wake and sees his two children Raffy and Kristine again. While Dante is eager to make amends with them, Raffy does not want him back into his life. 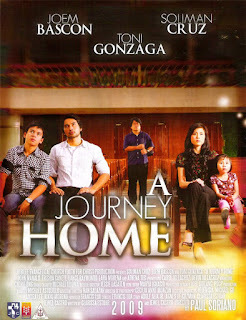 When an accident forces Raffy to take Dante into his house, Dante learns how his own failure as a father has made an impact on how his son acts as the head of his family.